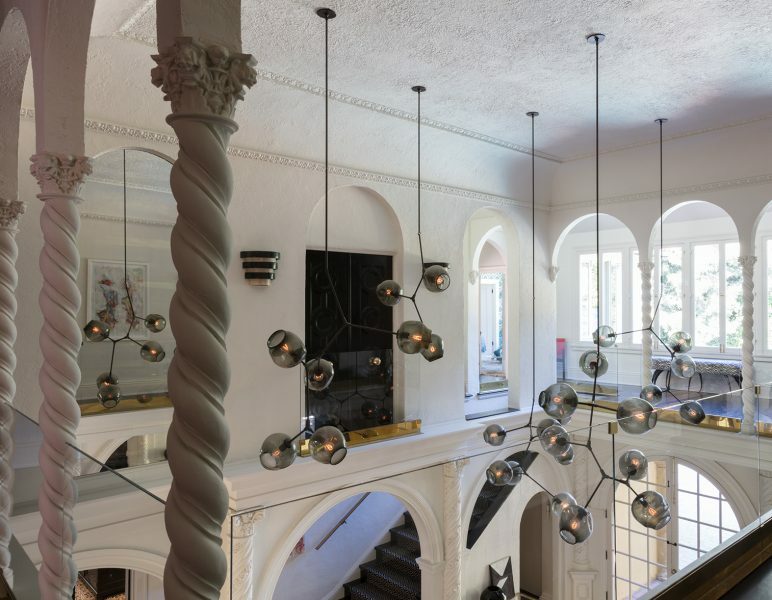 New York-based lighting designer Lindsey Adelman is known for her highly coveted, highly exclusive pieces and innovative, one-of-a-kind designs. We sat down with Lindsey to hear her thoughts on her collection and on light design. 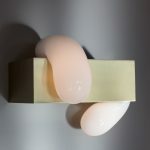 My current favorite is a new Catch Wall sconce with an incredible piece of green Onyx. The milky glass is melted over the stone that was sourced and expertly shaped in Italy. My inspiration comes from places as far ranging as bowerbird nest to a subway tunnel. I look to moments of pure and unexpected delight to moments of frustration and despair. My hope with my work is to bring a sense of boundless escape and sensual purity to mundane limitation. 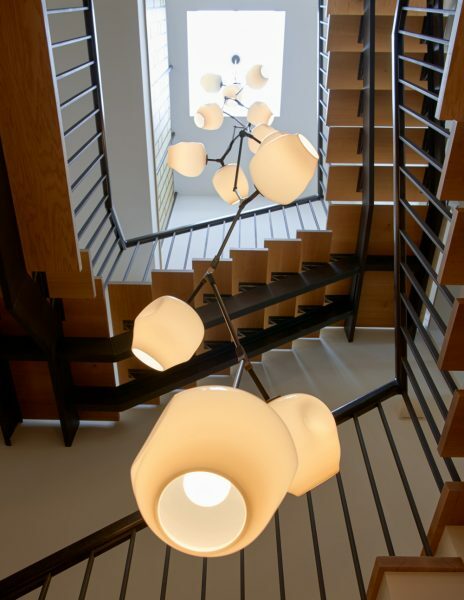 Design by Rodney Lawrence Inc.
What is your best advice when it comes to light design? Be sure to incorporate many points of light into your room and use dimmers! What’s in store for you guys? Very excited about our new showroom in Los Angeles. How do you light your own home? In my own home, I am constantly changing things around. I have experimental work in some rooms and established collections in others. It is like a laboratory. 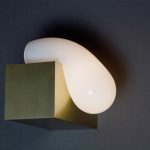 I also love lighting from other designers, especially Noguchi. How did you get into lighting design and why do you love it? 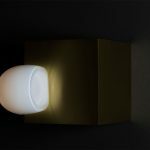 At the Rhode Island School of Design, I was enamored with the instant gratification in testing new design concepts, the cultural nature of it, and the profound emotional effect lighting has on any space and its inhabitants. I suppose I am still in love with lighting design for the exact same reasons. With so many great designs, it can be hard to pick a Lindsey Adelman piece. 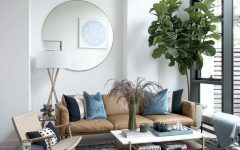 We reviewed our favorite Lindsey Adelman collection and sat down with a few interior designers to show you how to style her pieces. 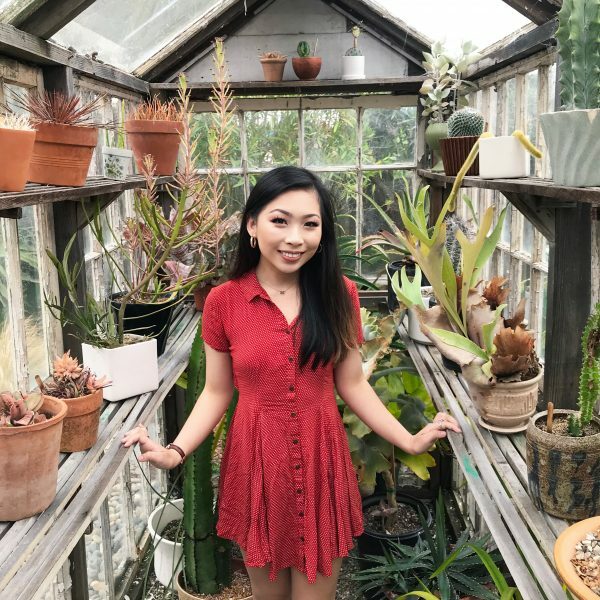 The branching collection is perhaps Lindsey’s most famous collection; it is, after all, the collection that started a national trend and propelled Lindsey into the spotlight back in 2006. 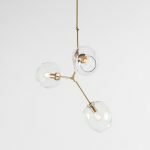 The collection features tinted glass bubble sconces of varying sizes connected by a multi-pronged metal branch. Their sculptural quality makes this collection look like an exhibit out of an art museum. We love how this collection perfectly balances a number of contradictions: it is organic and geometric yet clean and sophisticated; it works in modern, contemporary spaces as well as traditional or eclectic spaces; the design has a dramatic yet soft effect. The versatile design works well in a variety of spaces and aesthetics and can be modified for a more understated or impactful effect. The finely-crafted, innovative design truly reflects a hands-on, personal creative touch. 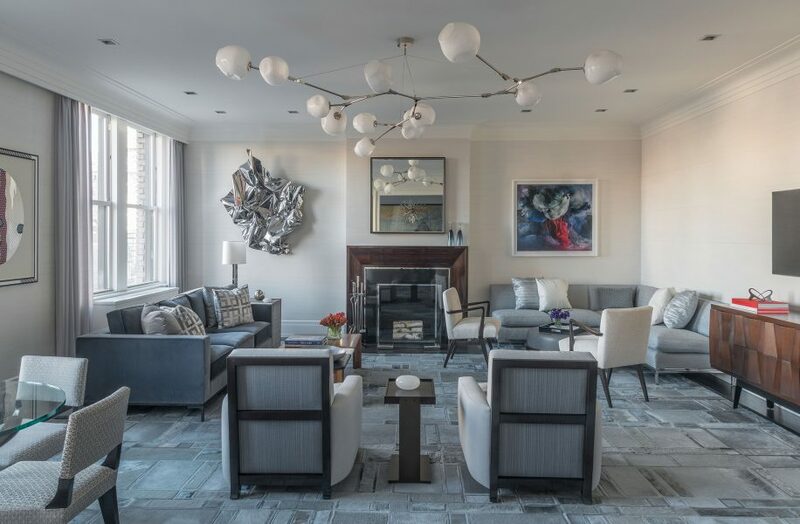 A Lindsey Adelman piece hovers over this living room by Eve Robinson. 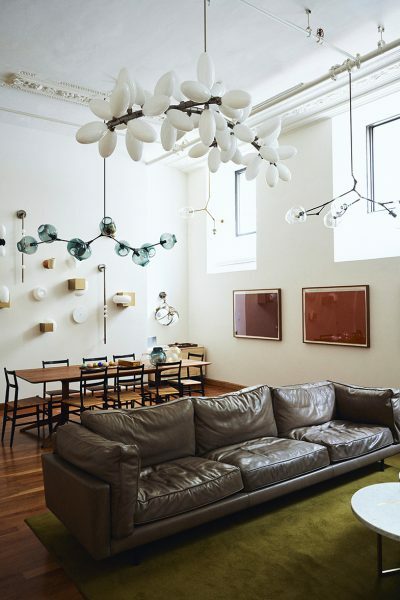 The light fixture is definitely a stand-out in the room. Its whimsical, curvy silhouette contrasts nicely with the linear lines of all the furniture in this room. 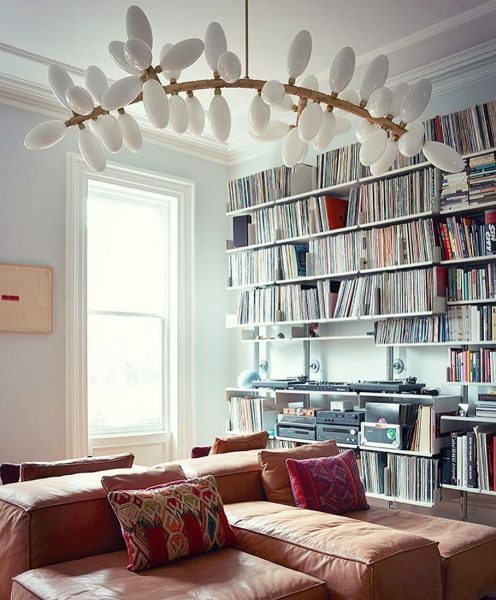 This light fixture is also great for this space because it brings sophistication to a formal room but also brings a fun, playful element to this more serious space. 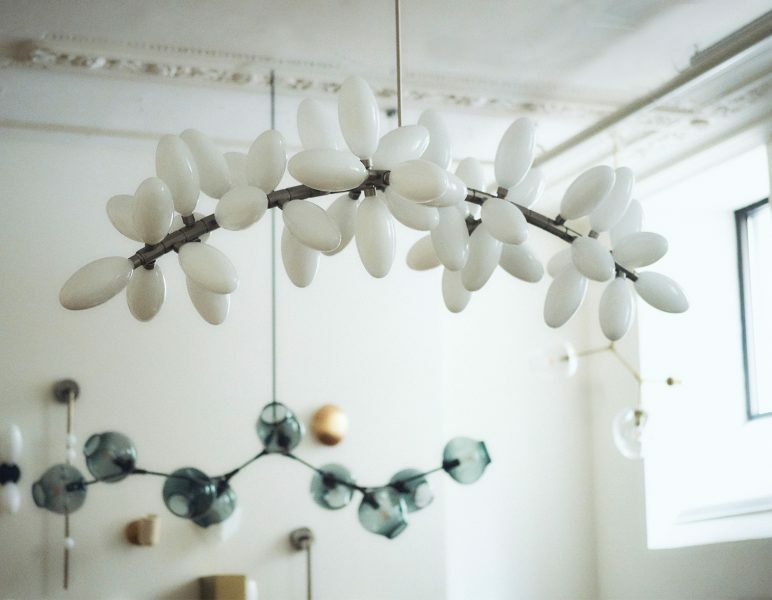 If you’re looking for an impactful light fixture that will serve as the focal point in your room, Lindsey Adelman is the way to go. Her pieces are unique, one-of-a-kind eye-grabbers and conversation-starters. In this living room by Elnaz Namaki, a Lindsey Adelman piece lights up this dark color palette. 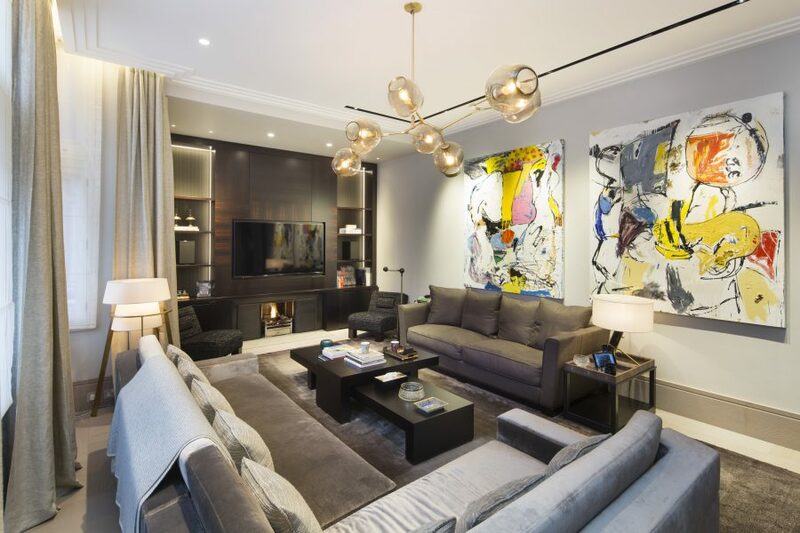 The clear, light sconces and warm lighting provide the perfect contrast to this darker living room. Lindsey’s pieces are known for their sculptural design. They weld together both modern/clean and organic elements, which makes them perfect for any aesthetic. In this dining room by Dan Scotti Design, a clean, crisp white Lindsey Adelman fixture hangs above the dining table. A dramatic yet sophisticated light fixture is exactly what this large dining table needs. ProHINT: In a dining room, opt for a dramatic light fixture as the primary decor. It will be exactly what you need to create a memorable dining room in a space where there are typically more limited opportunities to play with design and decor. 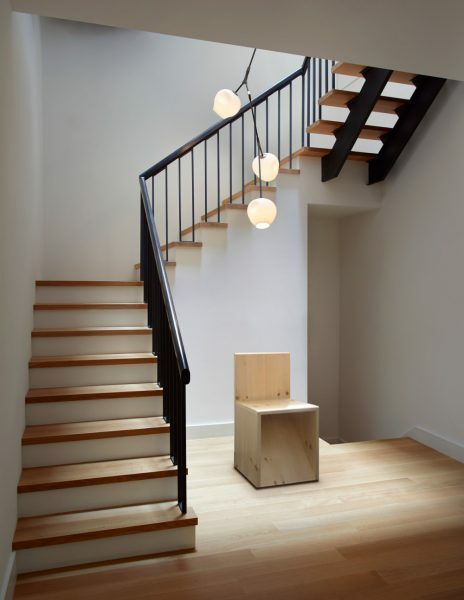 Stairwells, foyers, and hallways are awkward spaces to design because they are typically quite small, but you don’t want to make these spaces look neglected. 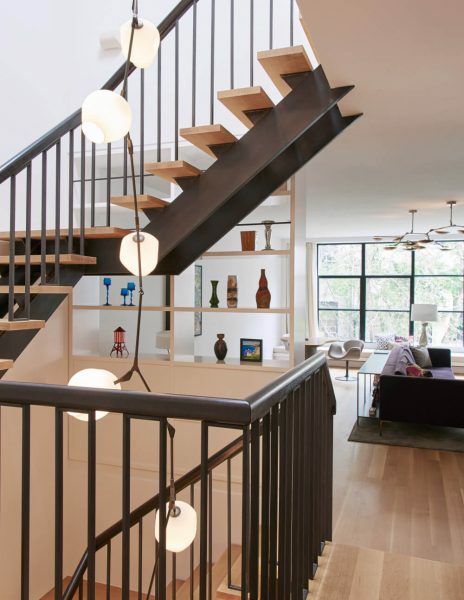 A light fixture is the perfect thing to add in these small spaces and can completely transform the look of your home. 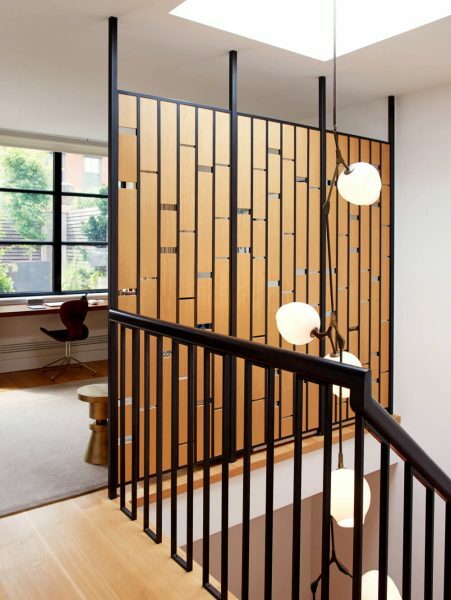 In this stairwell by Delson Sherman Architects, a Lindsey Adelman piece occupies the vertical space from the ceiling to the ground. 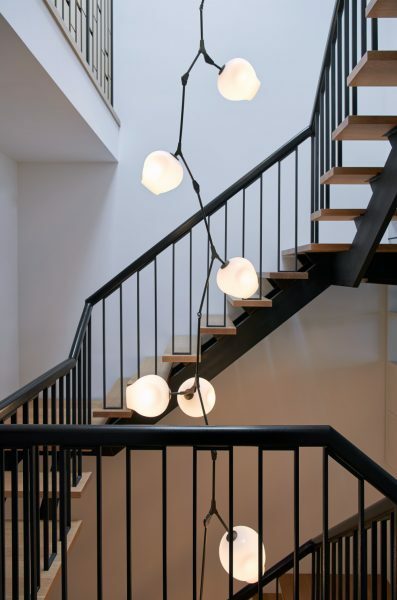 It is a showstopping feature of the home, and the light fixture looks stunning from all angles, whether looking down on it from the top of the stairwell or looking up from the ground. One thing we love about Lindsey’s pieces is how you can custom order a design to meet exactly your design needs. 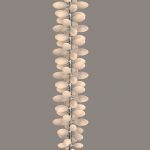 With plenty of sizing and finishing options, the Branching Collection is easily customizable so you can customize the length of the metal rod and the number and size of the sconces. 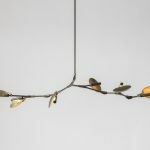 Lastly, each branch adjusts and swivels, so you can create a piece that is truly unique and one-of-a-kind. No two pieces look quite the same. 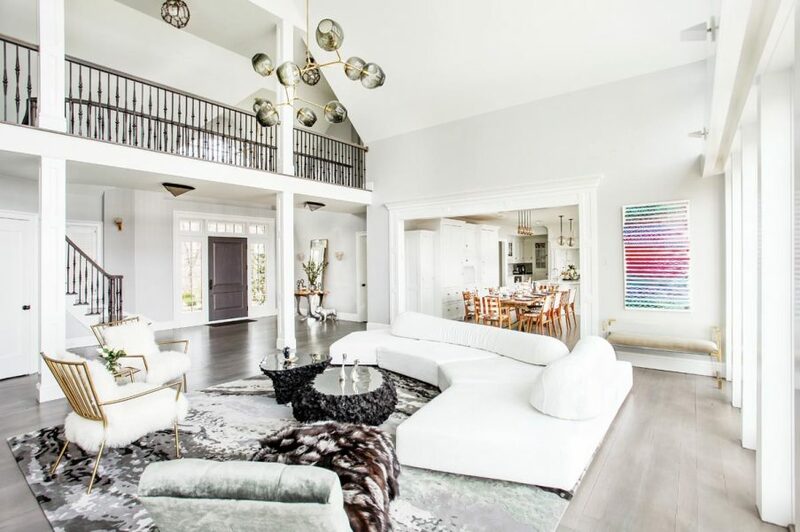 In this clean living room by Sasha Bikoff, a Lindsey Adelman piece complements the luxury and sophistication of the space. 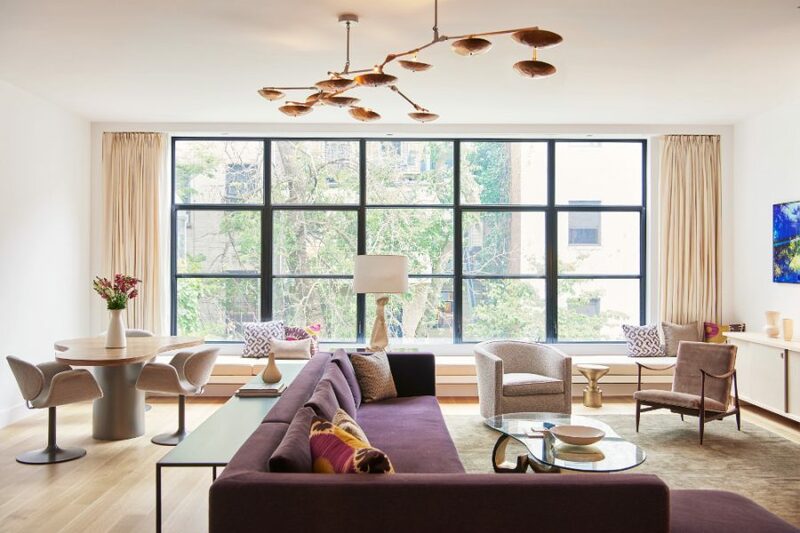 The glass and brass add to the variety of materials and textures in this room, from the upholstered sofa to the plush armchairs and velvet chaise to the stone coffee tables. 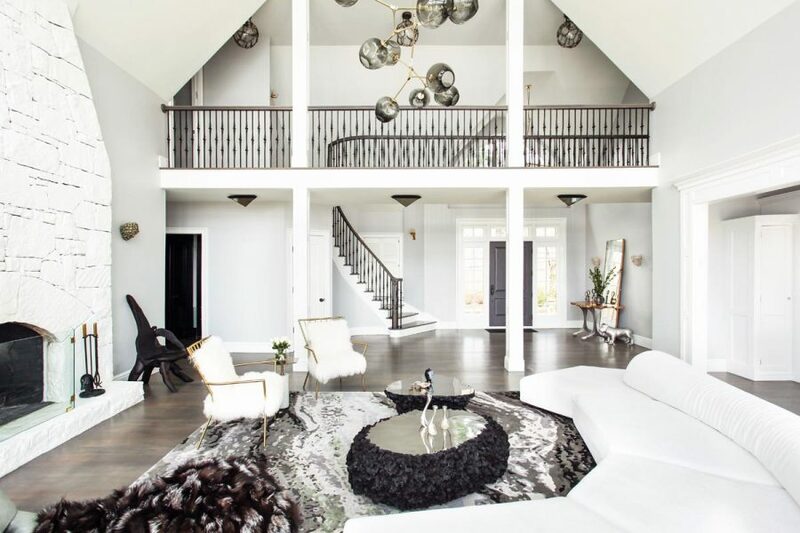 The gray glass also complements the monochromatic color palette in this room, while the brass ties in with the pops of gold throughout the space. Overall, the colors, textures, and silhouettes of all of the pieces in this room work together nicely to create a harmonious look. 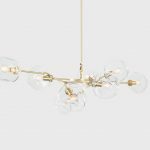 Easily adaptable, Lindsey’s pieces are continually evolving into different configurations of the original design. 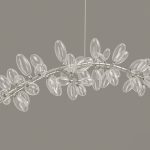 Whether by switching up the glass finish or adding more or less branches, this collection will never go out of style. 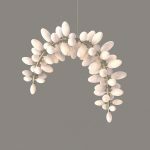 To illustrate, the Branching Collection currently features a wide variation of this design, from simple sconces to more elaborate and intricate pieces. What’s your favorite Lindsey Adelman collection? Comment below! For more information, visit lindseyadelman.com.